You can reach the Business Wales Helpline by phone, e-mail, or live chat. Get all the contact information you need here. Whether the goal is to get your business up and running, or to take your business to the next level, we can help with our wide range of support services. We organise a selection of business events, workshops, seminars and masterclasses across South West Wales. See which events you want to attend below. Whether you’re an aspiring entrepreneur who needs support taking that first step, or a business owner looking for guidance to grow your business, Business Wales is here to help. Our team of talented and dedicated business advisors are on hand to help you achieve your business goals. Whether it’s supporting the creation of a detailed business plan or trying to secure financial assistance, we can provide all of the information, advice and guidance you need. All you have to do is get in touch with us, discuss your business ambitions with our helpline, and we’ll put you in touch with our support team. Take that all important first step by creating your free Business Wales membership account. You’ll immediately get access to your own business HQ profile which provides tailored business event listings and news in your area, and lots of other great features. Having your own membership will also allow you to create alerts and save your funding searches using our Finance Locator - a free database of available finance options for your business. And, you’ll also have the option to submit blog posts and network with likeminded business people across Wales, sharing knowledge and advice. Business Wales also hosts its very own business directory and you’ll be able to create your very own business listing to improve your online visibility. 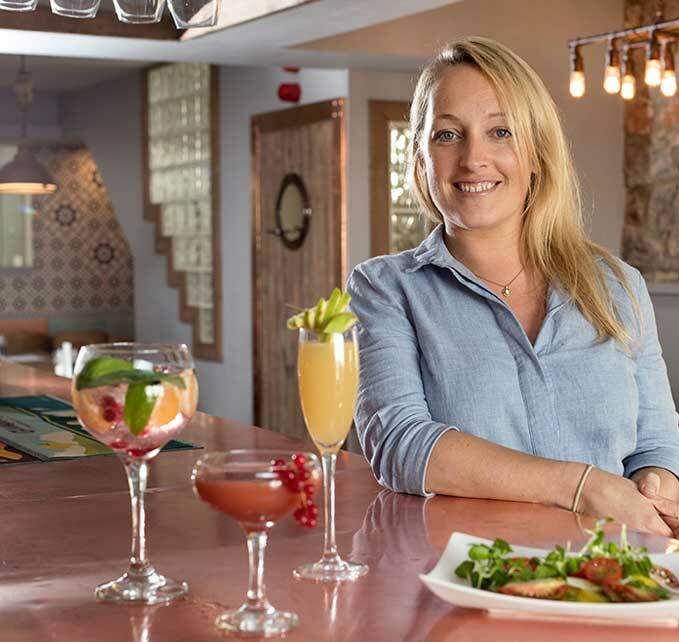 Cosy Corner Lounge is a newly launched cocktail bar situated in Porthcawl, run by Sophie Thomas and her husband. Coast Bathrooms and Kitchens is a high quality design studio run in partnership by Jan Miles and Melanie Edwards. The Plough Rhosmaen is a four-star boutique hotel with 23 beautiful, contemporary bedrooms, set in the Towy Valley at the edge of the Brecon Beacons. Dave Easterbrook started Fizzy Foam in 2012 while working as a freelance DJ on Bridge FM. With the help of his family, he founded his one-stop shop in Bridgend, specialising in body, bath and home products.